Well, it’s finally here!! I have received my shipment of Dave Dorman’s WASTED LANDS OMNIBUS! The book will be in stores either this week or next week (Sept. 10th or 17th). But because I am friends with the publisher (LOL) I have gotten some books pre-release. I know a lot of you have been asking where to get the books. I would say support your local comics shop or brick-and-mortar book store. 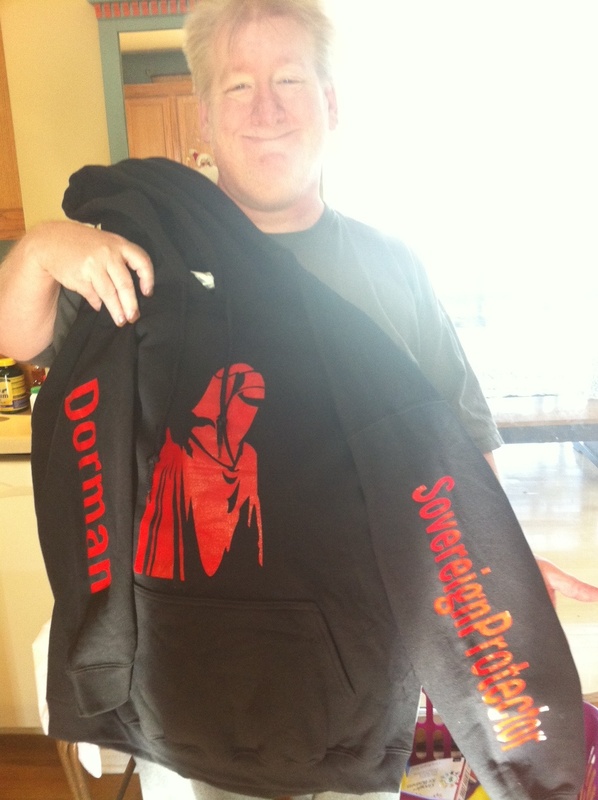 However, if you would like a special deal direct from the creator, Dave Dorman (that would be me!) then hold onto your hat! The WASTED LANDS OMNIBUS Book and extras! #1. 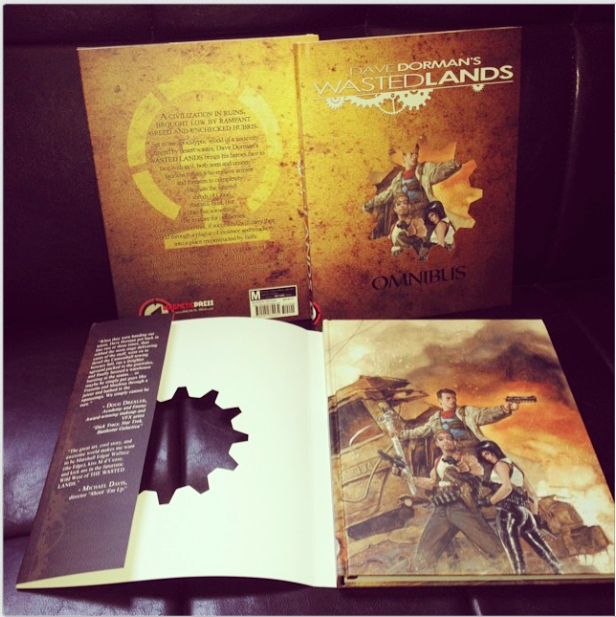 First off is the WASTEDLANDS OMNIBUS. This 152-page hardcover graphic novels contains the beginnings of my WASTED LANDS world starting with a fully recolored, re-lettered, and artistically revised version of “RAIL: Broken Things”. This is the first in my GN series RAIL. Following that are additional comics stories and short Illustrated text pieces giving you additional adventures of the main characters introduced in RAIL. All wrapped up in a gorgeous hardbound book with a cutout card stock book cover. #2. As a special bonus with your order, you will receive a copy of the Artist’s Preview Edition of RED TIDE, a new miniseries coming this winter. 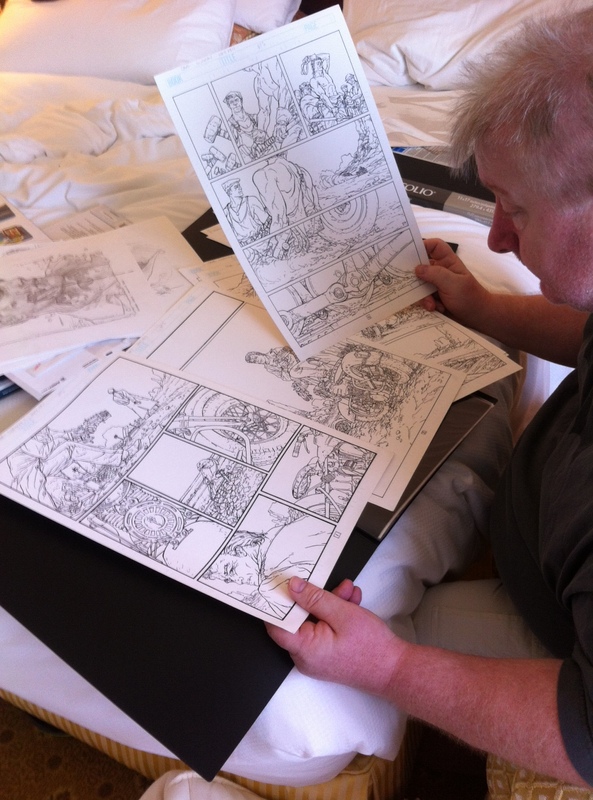 This is the first 12 pages rendered in pencil by me and written by my writing collaborator, Mike Bawden. Limited to 250 copies, this was only available at the San Diego ComicCon 2014. #3. The last bonus is a signed Limited Edition Art print of the full cover (that is underneath the cutout on the hardback). This print is only available through direct orders through the publisher, or directly through me. #4. Signed & remarqued! When you order directly thru me I will SIGN your books personally (and add a personalization in the book if you like). AND… I will add a DRAWING of one of my WASTED LANDS characters in the book as well! You will never get a better deal than this one today. 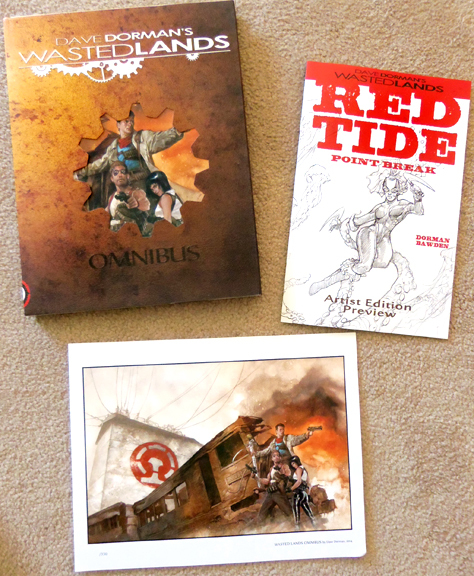 The hardback OMNIBUS, the Limited Edition comic, the print, AND a one-of-a-kind, personalized drawing! 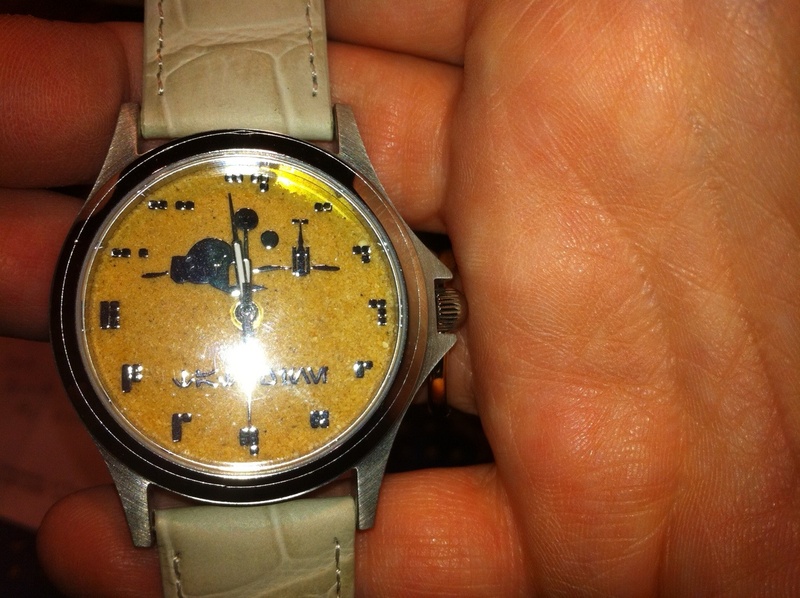 Price: $50 with shipping free in the US. (Additional shipping of $20 for orders outside the US.) If you would like to order multiple copies that is fine, just do that during the Paypal checkout. 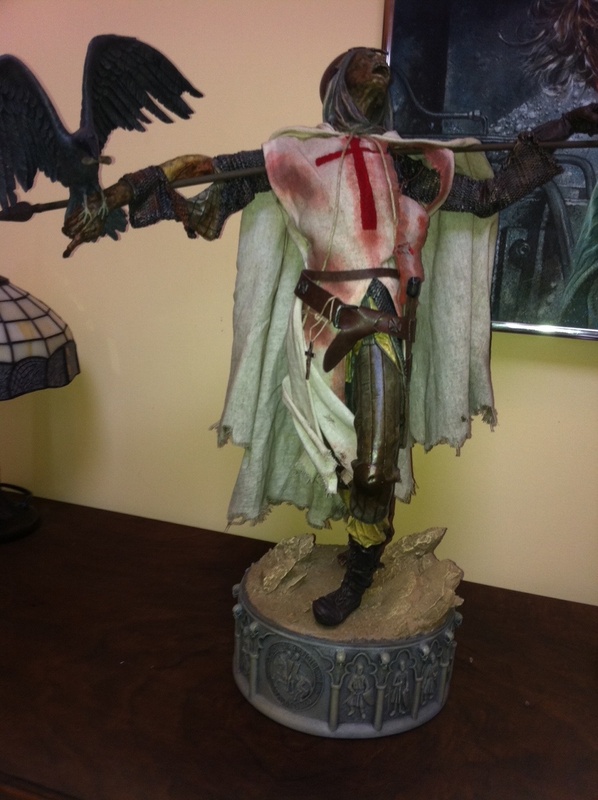 TO order: Go to this page on my website http://www.davedorman.com/WLOsale.shtml and use the Paypal buttons there to place your order. Thanks so much for your support of this very personal project! There is much more to come!! For the first time, I am offering my graphic novel original comic book art from RAIL: BROKEN THINGS available for sale at San Diego Comic-Con this year. This is the artwork that appears in the WASTED LANDS OMNIBUS, which is premiering this year at Comic-Con through Magnetic Press, as well as at my Booth #4500. 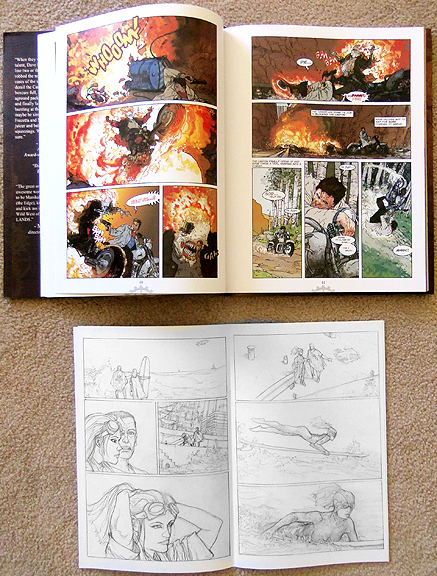 Additionally, I am selling my pencil sketch art pieces from my 2014 Edition of my LEADWORKS #2 Book. 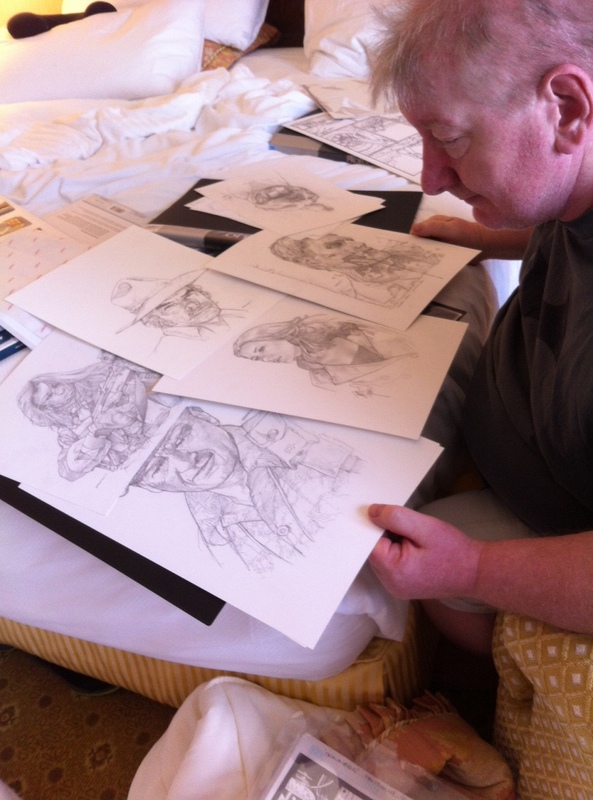 Here are some images of me loading the artwork into my portfolios today as well as a new look at what the cover of the new WASTED LANDS OMNIBUS book looks like. On Instagram, I’m under DaveDormanArtist. I will be at REEL ART in Berwyn on March 22nd from Noon until 3 p.m. Meet some really amazing artists whom I am proud to call my friends and colleagues: Hilary Barta, Randy Broecker, Dougherty & Nieves, Gary Gianni, Scott Gustafson, Doug Klauba, Aaron Miller and Alex Wald. Here’s a map of where you can find me this year at San Diego Comic-Con. For those who come back every year, it’s my “normal” location. Sharing my booth this year will be Blackwatch Comics (artist Christopher Shy and writer Michael Easton) so please be sure to check out their goth fantasy SOUL STEALER: The Collector’s Edition and NORTH END OF THE WORLD books as well. 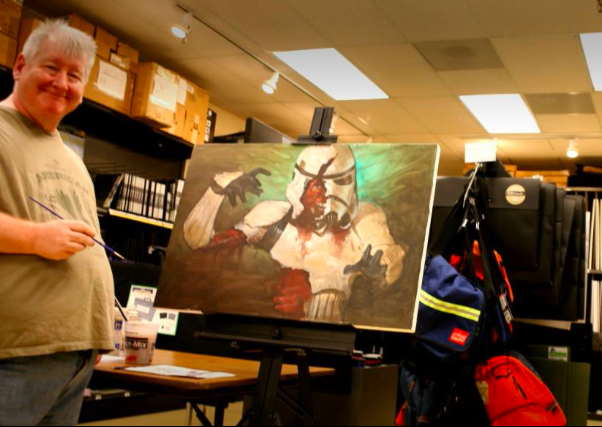 Thursday, July 12th, Noon – Booth #2913E– During the “Frak Out” Battlestar Galactica event, I will be in the ANOVOS Booth at the Lucasfilm Pavilion for the unveiling of my first-ever Battlestar Galactica (2004 series) fine art painting. I believe this is happening at noon. 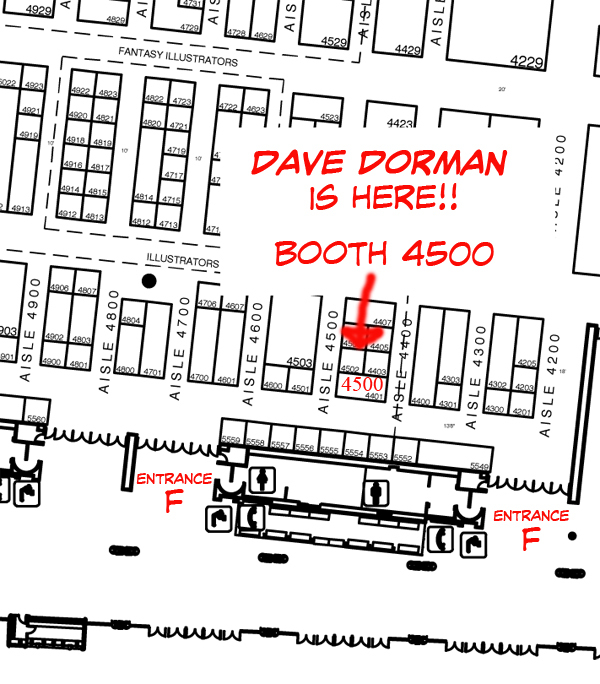 Friday, July 13th, 11 a.m. – Noon, Booth #2615–I will be at the Dark Horse Comics Booth #2615 for a Star Wars Crimson Empire signing with Mike Richardson, Randy Stradley, John Jackson Miller, Tom Taylor and Doug Wheatley. The panel will give fans a chance to peek behind the curtain for an incredible hour of conversation with Kevin Eastman as he and many of the iconic artists reflect on the history of ground-breaking storytelling as well as letting the audience in on plans for the future. Guests include: Kevin Eastman (Heavy Metal, Co Creator of Teenage Mutant Ninja Turtles), Michael Mendheim (Mutant League Football, Creator of Four Horsemen of the Apocalypse, Dave Elliott (Sponge Bob, Heavy Metal, Ninja Gaiden), Lorenzo Sperlonga (Heavy Metal, Steampunk Dolls, Poison Apples), Dave Dorman (Heavy Metal, Star Wars, Rolling Thunder), and Joe Pearson (Director of War of the Worlds: Goliath, Epoch Ink Animation). Okay, that’s everything I know about at the moment. Please feel free to email or comment on Facebook.com/DaveDormanFanPage if there’s anything you need. Any journalists/bloggers/reporters trying to reach me, please contact my publicist Denise@WriteBrainMedia.com or call her at 630.215.5623. I raise a toast for an entertaining, fun, safe SDCC for everyone this year! Let the games begin! I’m pleased to announce that ANOVOS, famed for their wonderful costume and gear recreations for Battlestar Galactica and Star Trek, asked me to do their first fine art print, which is also my first-ever Battlestar Galactica art from the newest series (2004-2009). 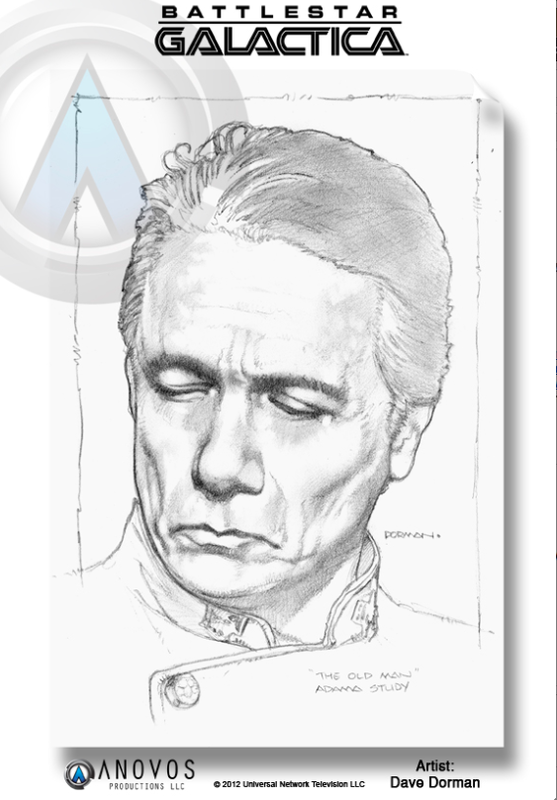 Here is just a pencil study I did of Edward James Olmos/Admiral Adama, to give you a sneak peek at a small portion of the art. Most of your favorite characters will be in this piece – a hangar scene – and I hope that you enjoy the work when we unveil it next Wednesday night at San Diego Comic-Con (heretofore referenced as SDCC). As always, I’m in Booth #4500, which is an end cap booth facing the lobby between the two F Doors. We are in that first row that runs parallel with the lobby. Joining us this year is Blackwatch Comics, which is ABC’s General Hospital actor and amazing writer Michael Easton (writer, “The Green Woman” for DC/Vertigo) and artist Christopher Shy of Studio Ronin fame. Their SOUL STEALER: The Collector’s Edition is launching at the show – an award-winning goth fantasy trilogy in a gorgeous Taschen-style book. Be sure to check them out. They are also offering sneak peeks at a cool historical fiction novel called “The North End of the World” about one of my favorite photographers, Edward S. Curtis, who documented all of the Native American Indians’ customs and images in photography. I will have a new limited edition Sketchbook of my pencil illustration art for sale, limited to 250 copies, signed by me. I started this tradition last year and sold out, so I realized this was a worthwhile thing to do and affordable for the fans at just $10 per book. My first-ever father-son collaboration on a Kaiju (Japanese Monster) toy for Max Toy Company will preview at SDCC (just the art, not the finished pieces) for founder Mark Nagata, a rock star in his own right when it comes to toys. I will be joining the panel for HEAVY METAL on Friday night at 8:30 p.m. in Room #8. As you may have read in my autobiography, my very first published piece of work in my career was a HEAVY METAL cover, so naturally, I want to help them celebrate their 35th anniversary. This is my 30th anniversary in the business this year. My Captain America art will be in the MARVEL Comics Pop-Up book launching at SDCC. I will be happy to sign my Crimson Empire and Darth Maul Dark Horse Comics covers for anyone who would like an autograph. Autographs are ALWAYS FREE. I will be doing a signing in their booth, so check out their website for the dates/times. Okay, I think that’s everything for now. If you’re a blogger, reporter or journalist wanting to connect with me at the show, please set up your schedule with my PR firm WriteBrain Media – denise@writebrainmedia.com or call 630.845.4694. 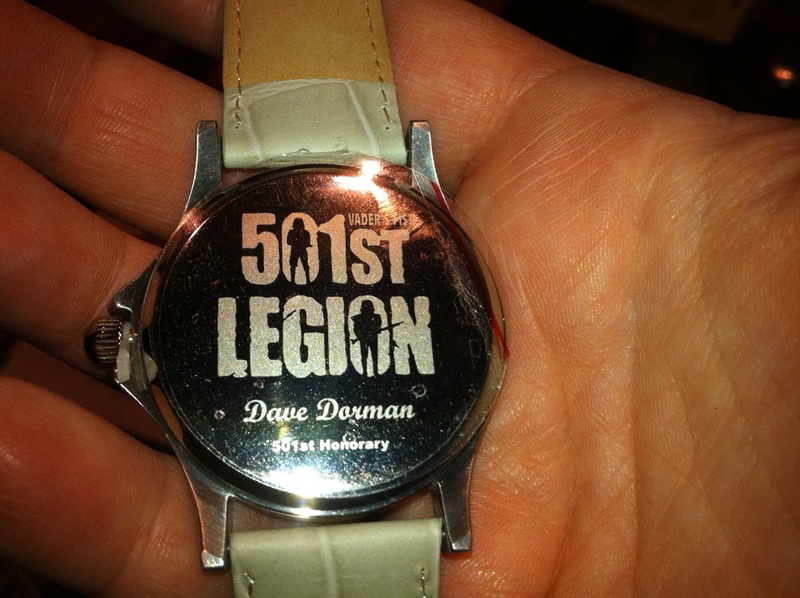 If you haven’t already, please “Like” my Facebook Fan Page – I’m very active on there – it’s http://Facebook.com/DaveDormanFanPage. Unfortunately, I’m over my limit for people I can friend on my personal page, so I flit back and forth between the two pages these days.